Missouri Botanical Garden – Welcoming Dragon at night. As you enter the Garden this dragon greets you from the center of the street. 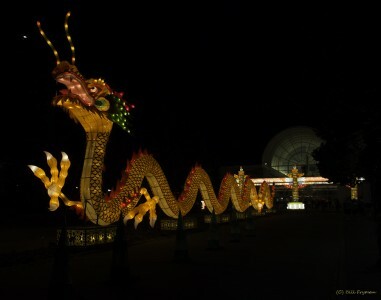 In this night photo, the dragon is lit for the evening Lantern Festival, June 2, 2012.